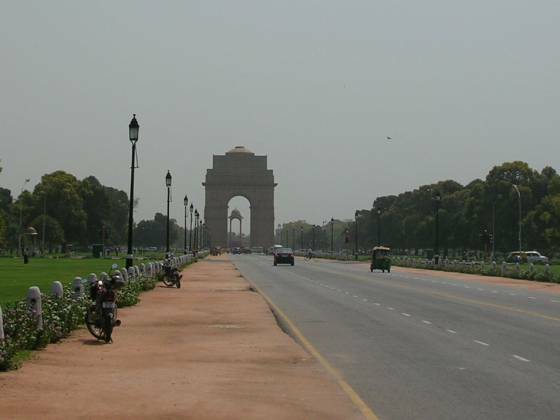 India Gate in Rajpath avenue, New Delhi. Map of India Gate, Delhi. The place of an orange balloon icon at the center is India Gate.